A special blend of carpet cleaning chemicals. This rich, colourless, concentrate contains anionic detergents, sequestrants, cleaning agents, inorganic detergent builders, buffering agents and extremely effective odour counteractants. 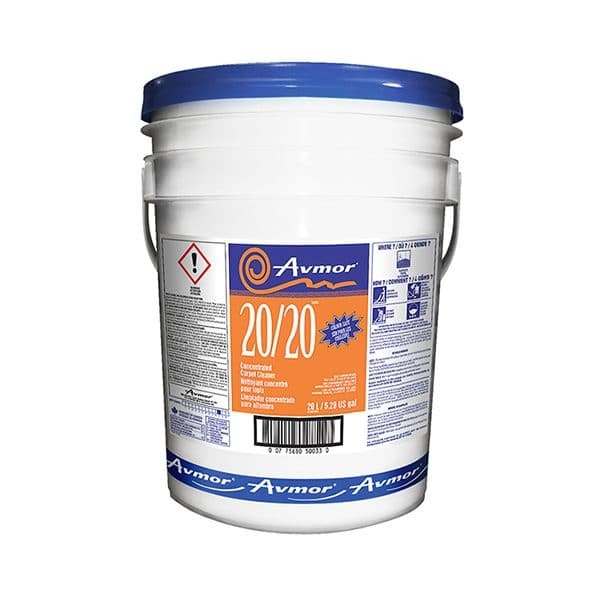 Use 20/20 through hot water extractors to remove soils and stains from all types of carpet fibres. COLOUR-SAFE. NOTE: Pre-test solution for colour fastness on an inconspicuous area of carpet or fabric. 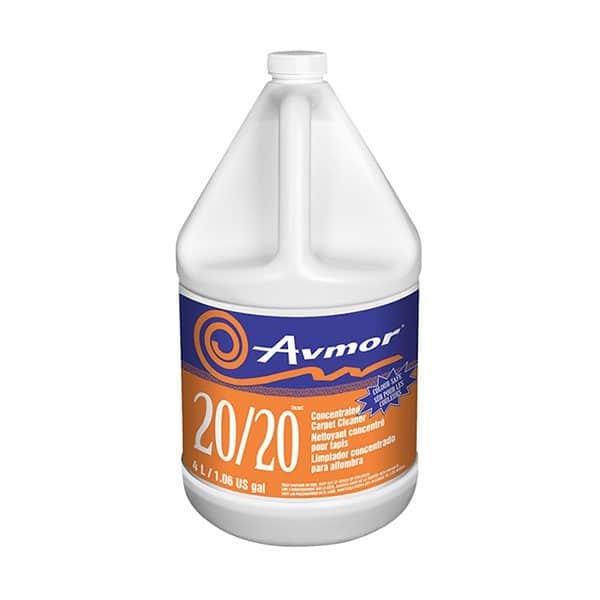 Prior to using 20/20, carpet should be vacuumed, visible stains should be removed, and traffic lanes should be pre-sprayed. LIGHT TO MEDIUM SOILS: Mix 1 part concentrate to 80 parts hot water. HEAVY SOILS: Mix 1 part concentrate to 40 parts hot water.